Wake up was already 5 AM due to weather forecast. After sleeping only few hours my body was feeling tired already in the start. 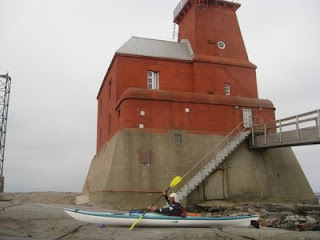 But the wind was gone. 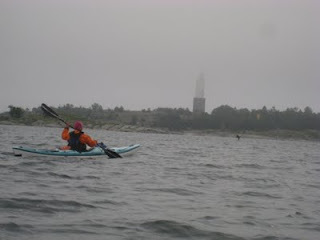 Instead there were fog and 6:30 we headed towards Porkkalanniemi and Rönnskär island, which is military area. 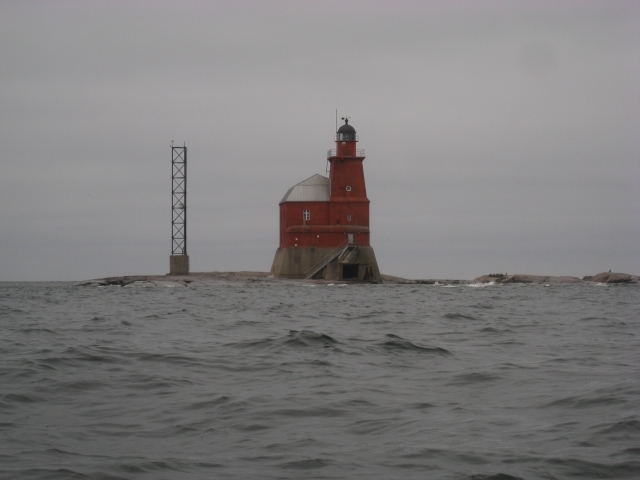 The island has daymark called Rönnskär, which have been earlier lighthouse. 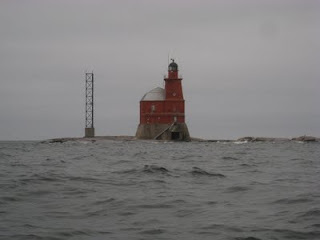 We passed the daymark, but couldn't land and visit the island, because we didn't have permit to enter military area. 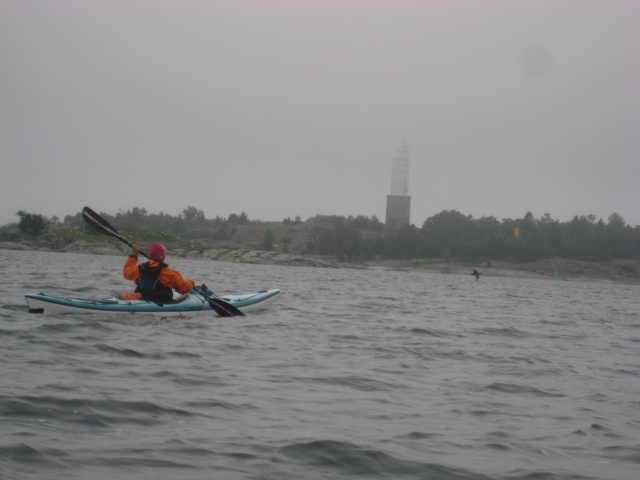 Wind was increasing in the afternoon and we managed to paddle back to archipelago of Inkoo just in two and a half hours. Due to a sunny day and early wake up we put our camp already at 4 PM at Stora Fagerö island, rested and enjoyed the rest of the day.